Whisk egg yolk, garlic and lemon juice. Slowly whisk in the 1/2 cup of olive oil until light and creamy. Stir 1/4 teaspoon of paprika into sauce; keep covered until ready to serve. In a gallon size Ziploc bag combine flour(s), paprika, and pepper. 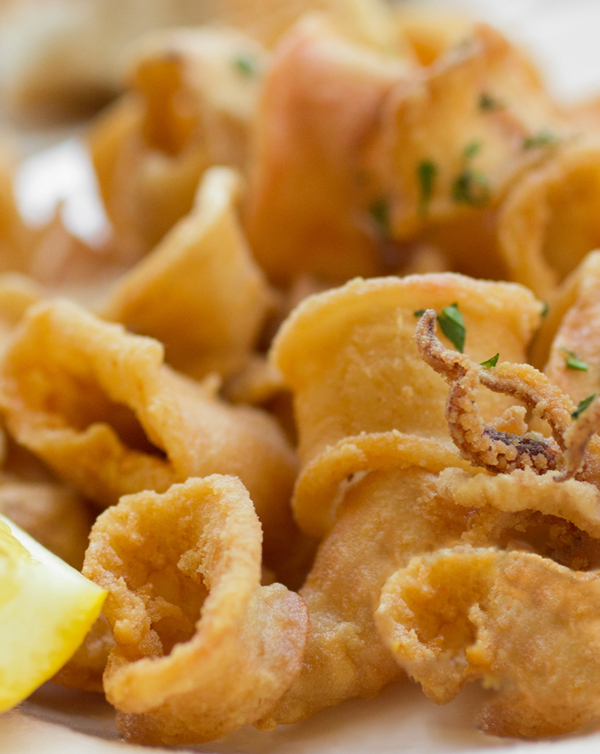 Add calamari rings, close bag and shake to coat. In very hot frying oil (400F), quickly cook rings in small batches. Turn rings halfway through cooking. Cook rings in 2 minutes or less. Drain rings on paper towels. Sprinkle with lemon juice and season with salt. Serve hot with sauce.